Growing dandelion? You ask. After all, the Dandelion is the Rodney Dangerfield of the herb world. Most people are dismayed when they see this cheerful little plant sprouting up in their lawns. But who would have thought this lowly little weed could be so useful? It is truly a pity that we have been raised with the notion that not only are Dandelions not useful, but they should all be sprayed out of existence. But not so fast! This wonderful plant can be used medicinally, makes a tasty salad and can also be used to make wine and a coffee substitute. The leaves of this plant resemble the teeth of a lion, which is how it supposedly got its name - a corruption of the French Dent de Lion or "Lion's Teeth." 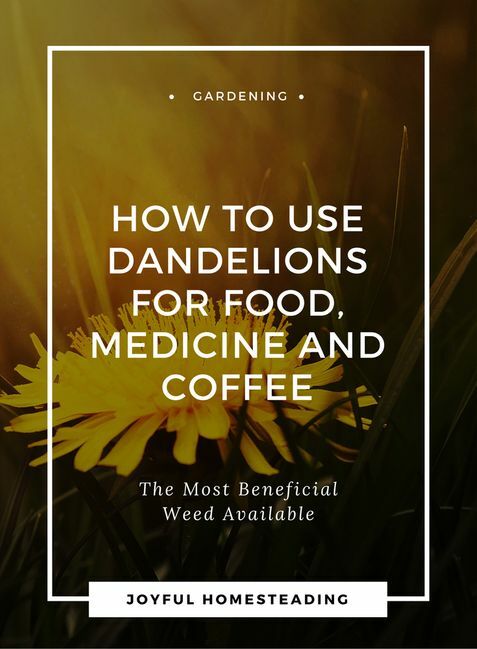 But no matter how its name originated, most experts agree that Dandelions have been ranked among the most useful herbals since the sixteenth century. When harvesting this plant, use the roots and the fresh, young tops. Dandelion is good for helping liver and kidney disorders. A Dandelion infusion will strengthen your immune system. It also works as a mild laxative and eases constipation. The young leaves of dandelion make a delicious salad and are also good in sandwiches. Be sure to pick young leaves, as the older ones will be tough and bitter. You can also boil the leaves in the same manner as you would spinach. Then add butter, salt and pepper. My mom made wine from dandelion once, and it was delicious. People also once used the roots of the herb to make Dandelion coffee. According to A Modern Herbal (Volume 1, A-H): The Medicinal, Culinary, Cosmetic and Economic Properties, Cultivation and Folk-Lore of Herbs, Grasses, Fungi, Shrubs & Trees with Their Modern Scientific Uses, to make the coffee, you must thoroughly scrub the roots and then dry them in a dehydrator. Roast your roots slightly in an oven until they are the tint of coffee. Then ground. It is supposed to taste very similar to coffee, although I have never tried it myself. 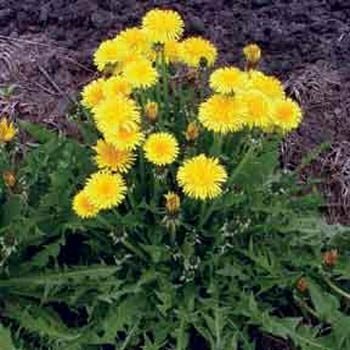 The herb dandelion will pop up at will, so the issue here is not how to grow it, but how to contain it. As soon as your Dandelions flower, cut the flowers off at once. Continue cutting the young leaves as they come up, and you could have a supply of fresh Dandelion throughout the winter.